We’re a growing group of people across the Lower Mainland who agree that the Fraser Valley needs passenger rail service NOW! 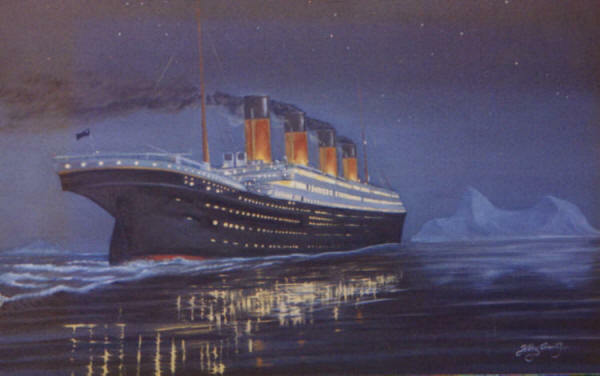 Is TransLink like the Titanic, sailing full steam ahead into a "financial" iceberg? TransLink is at it again, playing brinkmanship with regional mayors and I hope the valley politicos see through this tawdry charade, which has become a cliché for TransLink’s haphazard planning efforts. behind door number 3, you have option A & B. But here’s the trick, you got to play TransLink’s game because provincial transportation minister, Shirley Bond insists that regional mayors do play. Some regional mayors, including Fassbender from the City of Langley are acting the part of the country rube, easily outwitted by TransLink’s hucksters selling financial snake oil. TransLink is in deep financial trouble, yet it plans more expensive metro lines; BRT, a transit mode with a poor record in attracting ridership; community buses, which mostly run empty; and continuing with the $1.00 a day U-Pass, a heavily subsidized student fare which clogs up buses and fills metro cars, leaving transit customers who pay full fare standing or just taking the car instead! To pay for this nonsense, the regional taxpayer is once again going to be forced to pay for really amateur transit planning, done by a bureaucracy which cares more about their perks and pensions, than planning for an affordable and accessible public transit system. So here is the Zweisystem solution for transit funding. Let the municipalities with SkyTrain, pay for SkyTrain and the municipalities who have only bus operation, pay only for bus operation. As SkyTrain and light-metro financing so dominate TransLink’s balance sheet, the cities with one or more light-metro lines should pay more for SkyTrain and associated improved bus operations. Municipalities which only operate buses are charged a flat fee of $150 on their property assessments. Municipalities with one light-metro line pay a flat fee of $275 on their property assessments. Municipalities with two light metro lines pay a flat fee $400 on their property assessments. Municipalities with three light metro lines pay a flat fee of $525 on their property assessments. Municipalities that operate trolley buses pay an additional flat fee of $50.00 on their property assessments. This simple formula, taxes those municipalities and cities who benefit from light-metro and trolley buses and provide an incentive for taxpayers to insist getting the biggest bang for their buck! It is time to stop playing; “Let’s make a Deal” with TransLink and the provincial government and insist that those who benefit in having light-metro actually pay their fair share for light-metro. Local mayors will not be asked to vote on imposing a vehicle levy to fund transit expansion – at least not this year. Instead, the only option to finance the Evergreen Line and possibly other transit improvements will be an increase to property taxes. If approved, a typical $600,000 home will pay $31 in increased tax to raise $465 million for TransLink’s share of the $1.4-billion Evergreen SkyTrain line to Coquitlam and the first phase of the North Fraser Perimeter Road. Mayors council chair Peter Fassbender said it was too late to contemplate the Transportation Improvement Fee, a levy which would have raised the same amount of money by charging $15 to $55 per registered vehicle each year, depending on their carbon footprint. “It would require legislative change, administrative changes and a number of elements for that to even be considered,” the Langley City mayor said of the vehicle levy. Metro mayors meet Tuesday (Nov. 9) to be briefed on the proposed financial supplement for TransLink, which still has to be assessed by the independent TransLink commissioner before it goes to a vote on Dec. 9. But Fassbender is still hopeful a scenario is possible where the mayors are able to negotiate different TransLink funding sources with the province, in line with an accord struck in September. In essence, he thinks the property tax hike could be voted in now to satisfy the provincial government’s insistence of funding certainty for the Evergreen Line, which breaks ground next year. But Fassbender notes the extra revenue from TransLink won’t be needed until 2012. That means a property tax lift pencilled in now could be erased next year if Victoria agrees to provide alternative sources – such as road pricing, a share of carbon tax or even the vehicle levy – which could flow by 2012. “Can this get us far enough down the road that it gives us time to find other solutions?” Fassbender asked, referring to temporary approval of a property tax hike. That scenario would require trust – several other mayors fear no such deal with the province may be forthcoming once they sign off. Transportation minister Shirley Bond has also hinted the government may take unilateral action to ensure TransLink raises the money if mayors vote down the supplement. Then there’s the resignation of the premier and the ensuing Liberal leadership race that clouds the political landscape and will distract some of the players. Fassbender said even that could work in favour of a deal. “We’re in a very interesting time because of the changes,” he said, suggesting the government and leadership contenders will likely want to preside over good news, not discord. More time to negotiate would provide a better chance to consider the how to implement something like the vehicle levy, he said, noting there’s been talk of options like adjusting the rate depending on the level of local transit service. Fassbender said TransLink’s plan to introduce smart card payment will also open up intriguing options like rebating vehicle levy or road pricing fees collected back to motorists in the form of transit credits, encouraging them to switch modes some of the time. Mayors will also have the option to vote on a larger set of transit upgrades, including bus service increases and various SkyTrain station upgrades. That would cost an additional $338 million, lifting the property tax hit to $54 for a typical home. PROPERTY TAX IMPACT: $31 per $600,000 home or $5.20 per $100,000 value. Don’t dismiss South-of-Fraser transit – VALTAC Supports Rail for the Valley! The following letter, printed in the Surrey Leader, from Mr. Holt from the Valley Transportation Advisory Committee is most welcome and shows the growing support for the RftV/Leewood Report for a TramTrain service in the Fraser Valley, using existing railway infrastructure. The recent announcement by TransLink, concerning the Surrey Rapid Transit Study, dismissed the Interurban corridor as having no role to play in solving the region’s transit problems. During the workshops held in Surrey, participants found it difficult to understand why such a wonderful public asset and low-cost option was so easily cast aside. TransLink staff seemed to be struggling to find a reason too. So much so, that in the closing summary, the very person who spoke to the media, dismissing the Interurban corridor, was suggesting that a sober second look be in order. A sober second look is exactly what is needed. Premier Campbell’s preferred option of a SkyTrain extension to Langley City will cost over $2 billion or about $125 million per kilometre in today’s dollars. He appears to be a lone voice advocating this Cadillac option. Surrey’s Mayor Watts, Langley Township Mayor Green and many others were certainly not taken in by this shameless ploy to insert a 20-year delay clause into creating “beyond the bus” transit options for South of Fraser taxpayers. With an additional 650,000 residents already starting to flow into the South of Fraser region, the need to influence future land use, by modifying community plans and implementing critically needed transit improvements, is now. TransLink’s previous attempts to hoist a transit master plan on the South of Fraser have fallen far short of what is needed for a region scheduled to grow from today’s 850,000 to over 1.5 million by 2040. With no master plan we are being forced to make risky decisions, or are we? If there are options available that involve minimal cost, little disruption to current traffic flow, and speedy delivery, are these not worth exploring first? This is what many local rail advocacy groups are pleading for. The recent, very credible, report commissioned by Rail for the Valley from UK transport consultants clearly comes to the conclusion that the publicly owned interurban rail corridor is exactly this low risk option. Langley Township’s Mayor Green and his South Fraser Community Rail Task Force of elected representatives have a similar view promoting a passenger rail demonstration project for the line. Rail based solutions can be a vital part of future South-of-Fraser transit options and they don’t need to cost billions or spend any time on the shelf. The time for action is now. The following is a summery of the Vogtlandbahn TramTrain operation in Germany. Contrary to TransLink’s (and Metro Vancouver and Liberal government) spin that one needs oodles & oodles of density for ‘rail‘ transit, the continues success of new TramTrain operations dispels the many negative myths. The SkyTrain lobby is also desperately hard at work spreading myth and tall tales about LRT, that it can’t do this or it can’t do that and TransLink continues to support these negative myths by claiming that LRT can carry only about 10,000 pphpd and streetcars much less. The truth be know, LRT can carry over 20,000 pphpd! The fear is widespread among transit and planning bureaucrats that LRT, built and operated in any form, will give an apples to apples comparison of light rail and their beloved SkyTrain. The push to build the Evergreen line in the Tri-cities, planning for SkyTrain expansion in surrey and the $4 billion UBC/Broadway subway point to their anti LRT agenda. TramTrain is about economy and giving the transit customer want he wants, a one stop (no-transfer) travel experience. To provide this, one must plan for cheap transit options, not gold-plated metro and TramTrain is the cheapest light rail option available. Valley politicians have a choice, either continue supporting SkyTrain light-metro which never will be built or BRT, which has proven not to attract the motorist from the car – or – support TramTrain, a proven transit mode for reducing auto congestion and gridlock for the Fraser Valley. The Vogtlandbahn is a private railway company in Germany, which runs diesel trains on regional lines in the states of Saxony, Thuringia, Bavaria, Brandenburg, and Berlin and as well as routes into the Czech Republic. 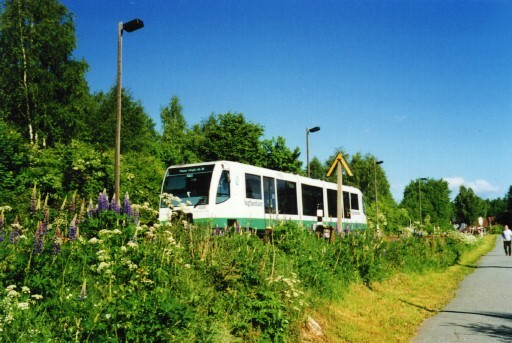 Vogtlandbahn is wholly owned by the Arriva subsidiary Regentalbahn. After German Reunification in 1990, there was a sharp drop in passenger numbers on the local rail network. The railways had old locomotives rolling stock and couldn’t compete with the rapidly improving roads. The Saxony government invested in an attempt to improve the attractiveness of the Zwickau–Falkenstein–Klingenthal line and the Herlasgrün–Falkenstein–Adorf Line, the track was relaid to a 80 km/h standard, disabled access was facilitated at all stations and new stations opened. Train and track maintenace was rationalised and to reduce costs some stations such as Schöneck were restyled as simple halts. The investments in upgraded track and rolling stock proved successul and reversed the fortunes of the reailway. 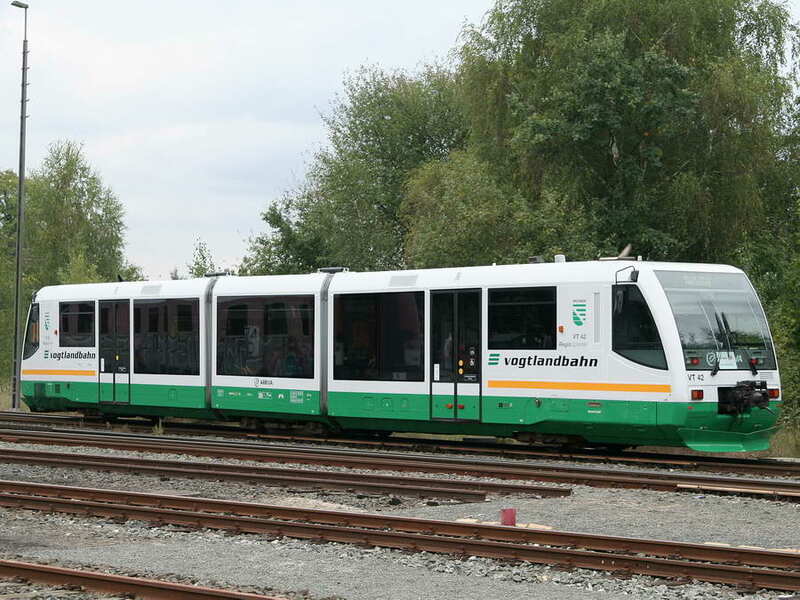 A further success, is the extension of the network into Zwickau town centre (TramTrain). Following the example set by very successful Karlsruhe Zweisystem (TramTrain), the lines extend from Zwickau Hauptbahnhof (Main Railway Station) to the central market. 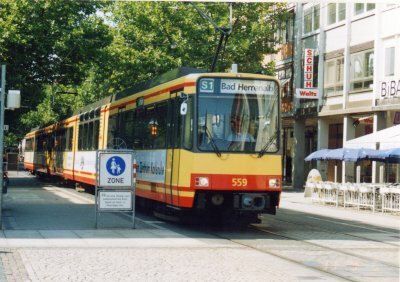 As most of the Vogtland network has not been electrified, the train-trams do not use current from the overhead tramwires (as in Karlsruhe) but use diesel engines. From there to Zentrum the train and the tram use the same tracks. To do this, dual-gauge track has been laid; there are three rails, the tram uses metre gauge(1000 mm), and the Vogtlandbahn uses standard gauge (1435 mm). An extra rail was laid next to the tram line so that they share one rail and each use one of the others as appropriate. Success followed success and several abandoned or disused railway lines were relaid or upgraded for servcie. Today the Vogtlandbahn is the second largest railway company in Geramny. William Chambers has very succinctly scored with a well landed punch on Sharon Gaetz, with this one. A Siemens Combino tram in Budapest colours. The following was sent to Zwei by a very concerned urban transportation advocate. All the SkyTrain lobby has is fear to debate light rail and spread fear they do. All technical debates between LRT and SkyTrain/light-metro have been won or lost decades ago and SkyTrain has been relegated to the history books. Like uber Regulus fanatics, the SkyTrain Lobby and its ilk, well entrenched in TransLink, desperately try to keep building with the aging SkyTrain system with any argument they can muster. Zweisystem predicted over a decade ago, if TransLink persisted in building with SkyTrain/light metro, it would bankrupt itself and that prediction has come true, with TransLink, balancing on the knifes edge of financial peril. It can not fund the $1.4 billion SkyTrain Evergreen Line, it can’t fund the proposed $2 billion plus Surrey/Langley extension and TransLink certainly can’t fund the proposed $4 billion UBC/Broadway subway; yet TransLink still wastes the taxpayers money, playing the same games planning for light-metro that no one can afford. Like a slow motion train wreck, TransLink skirts with financial oblivion, ignoring all danger signals, until it finally crashes into a brick financial wall. The title could be for a doctorate or thesis on public attitudes & political psychology, towards public transport. The anathema is not always or usual directed towards cost of a project. Over the last ten years or so of Light Rail advocacy, I has noted a number of key arguments which I have listed below. The road lobby fear at-grade Light Rail/Street Tramways, because of the reduction in road width/road capacity for cars. Downtown & suburban/out of town retailers fear Light Rail/Street Tramways will give shoppers a reliable transport service into the city centre to shop & by so reducing their trade. Politicians & business leaders in suburban townships & rural areas, fear Light Rail/Street Tramways will turn their communities into dormitories as residents find that a commute to the big city is feasible. 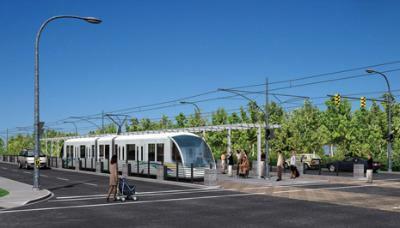 Politicians, civic leaders & established residents fear Light Rail/Street Tramways, will bring developers & an influx of newbie’s into their communities. Big city politicians & civic leaders fear Light Rail/Street Tramways will mean citizens moving out further into the suburbs to live, work & shop. Planners & politicians fear Light Rail/Street Tramways will bring urban sprawl. 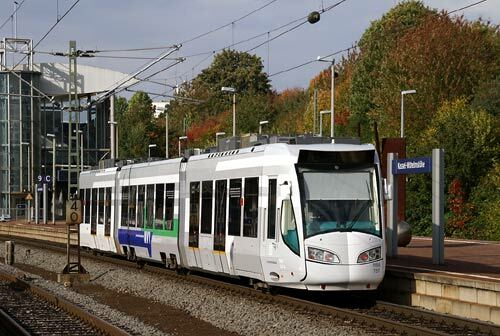 Contrary to many expressed views, major private bus operators are remarkably tolerant of Light Rail/Street Tramways, in Europe many of them operate the Light Rail/Street Tramway systems. With public bus operators, competition with Light Rail/Street Tramways cannot be an issue. There may be a number of small existing public transport operators such as cab firms that fear a loss of trade, but often they readily adapt to the changing patterns. To put this into a Fraser Valley/Vancouver/BC context. TransLink fears Light Rail/Street Tramways, because its likely popularity with the general public will undermine their business model for SkyTrain & their credibility. Likewise the TransLink apparatchiks on Skyscraper, for whom urban transport is ART running through densely populated cities on elevated segregated tracks surrounded by ….. wait for it……Skyscrapers….of course! What they would actually like to see is a Dan Dare year 3000 scenario with thousands of PRT pods flying around. Gordon Campbell fears Light Rail/Street Tramways, because it will destroy his credibility and his power base. Civic politicians fear Light Rail/Street Tramways will turn their communities into dormitories as residents find that a commute to the big city is feasible and will bring developers & an influx of newbie’s into their communities. Civic politicians would support buses or BRT, cos they know that mode will not offer a comparable modal shift. Langleyapparatchiks fear Light Rail/Street Tramways, cos it wasn’t their idea and they didn’t think of it first. Mike Archer & others of his ilk fear Light Rail/Street Tramways, because he’s a journalist & it’s his job & nature to write negative articles about what he doesn’t really understand. The Evergreen Line is front for more road and highway construction and for massive up-zoning of residential and light-industrial lands for high density, shoe box style of apartments. The Evergreen Line will not take cars off the road. The artist’s rendering says it all, SkyTrain and the West Coast Express are almost hidden away by a massive new highway interchange, designed to handle large volumes of traffic. Zweis thinks it is time for a moratorium on all transit (highway and rail) contraction and planning and the provincial government hold a Royal Commission on regional transit to get a proper foundation for the implantation of an affordable regional transit system. Port Moody council may pull its support for the Evergreen Line if the Murray-Clarke Connector isn’t built. At a special meeting Tuesday, council again discussed the 32 requirements it says are critical to its support for Evergreen. Among them is building the connector before construction of the rapid transit line. But with TransLink struggling to cover the funding gap just to get Evergreen built — and pay for other needed transportation projects throughout the region — Murray-Clarke has fallen off the radar once again. “It’s one of the prerequisites of us going along with the Evergreen Line,” said PoMo Mayor Joe Trasolini of the connector. “We’re very concerned that now it seems the Murray-Clarke Connector is being orphaned again. It’s nowhere on the priority list of TransLink” even though the previous board not only approved the project in 2008 but also allocated $50 million for its construction. Costs for the connector, which will have to be extended to reach over the SkyTrain line, are now estimated at more than $70 million. PoMo has set aside $4 million for the project. TransLink must come up with $400 million for its share of the $1.4-billion Evergreen Line and Metro mayors have recently balked at suggestions to hike property taxes to pay for Evergreen and part of the North Fraser Perimeter Road (Option A: $465 million) or a handful of regional projects including expanded bus service and station upgrades (Option B: $338 million). Trasolini says Murray-Clarke must be built regardless of those funding issues. Trasolini maintains the connector is not a new TransLink expansion project but the completion of an existing project — the Barnet Highway — that was promised by the province more than 20 years ago. But TransLink CEO Ian Jarvis sees it differently, noting earlier this month that the original justification for the connector was to protect Moody Centre businesses when the Evergreen Line was planned as an at-grade LRT system down St. Johns Street. With the switch to an elevated SkyTrain system, the Murray-Clarke Connector is no longer an urgent priority, Jarvis said. Trasolini said it’s “absurd” that a one-lane overpass that causes rush-hour back-ups stretching for several kilometres is part of the inter-municipal corridor, echoing an earlier council discussion that suggested PoMo may withdraw the Murray-Clarke from TransLink’s major road network — and block access to it for commuters coming from outside Port Moody. He also wants to know whether the new, provincially appointed TransLink board, whose meetings are closed to the public, rescinded approval and funding for Murray-Clarke. Trasolini and city manager Gaetan Royer were to meet with TransLink executives today (Friday) to discuss the issue. 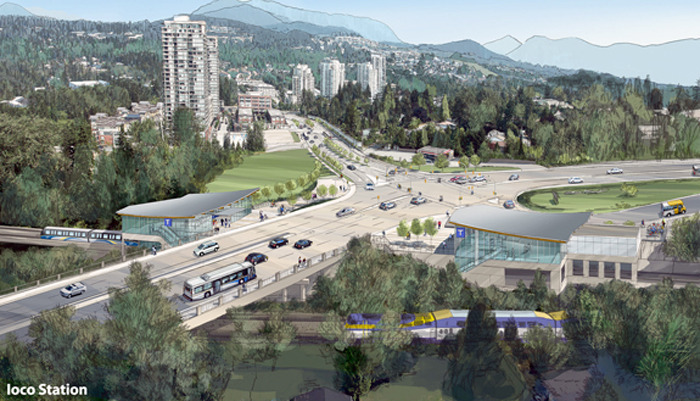 Royer said it’s unclear what effect Port Moody’s withdrawal of support for Evergreen would have on the project or who will cover the increased cost of the Murray-Clarke Connector. The following information from the Out-of-home Marketing Research Association of Canada or OMAC is certainly contrary to the SkyTrain lobby claims that SkyTrain takes a large share of Vancouver’s commuters. But Zwei knew that already as if any claims made by Translink about SkyTrain being a wunder system are quickly dispelled by the lack of overseas recognition of any claims made about SkyTrain. The statistics also backs up Zwei’s claim that despite being in operation in the Vancouver area for over 25 years and over $8 billion invested, SkyTrain has failed to show a modal shift from car to transit. The answer my friends is blowing in the winds around those the Ivory Towers on Kingsway. Driving to work is the dominant mode of transportation. There has been a consistent growth in vehicle kilometers travelled on a typical weekday in Vancouver. The population growth, the increased size of the city and the improving economic conditions all contribute to the growth in vehicle kilometers travelled. 41% of Vancouver workers commuted between 5 km. and 15 km. Only 8% commuted more than 25 km. · 34.8% travel < 5 kms. · 41.2% travel 5 – 14.9kms. · 16.2% travel 15 – 24.9 kms. Vancouverites spend a average of 70 minutes traveling by car to work. This has increased from 58 minutes in 1986. Light rail may be up & running by Dec. 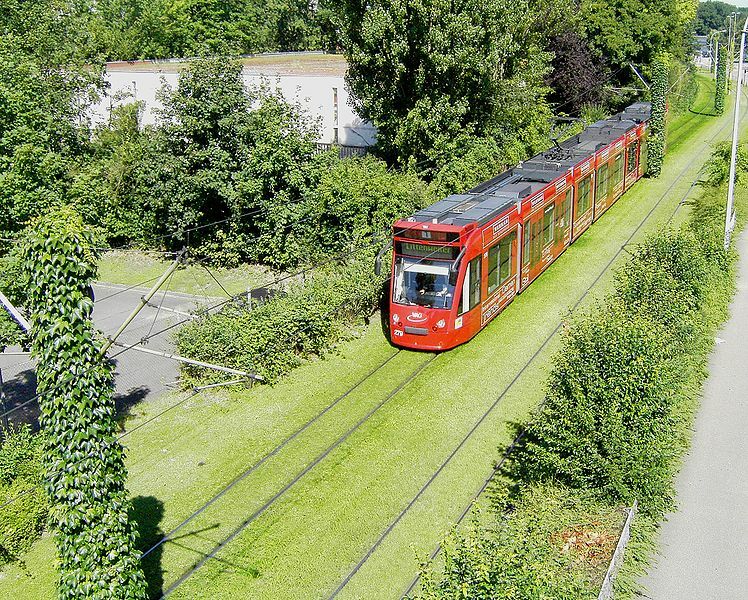 The following link from the Professional Engineering Magazine …..
….. is well worth the read as it neatly sums up the German city of Karlsruhe’s success in integrating transit. 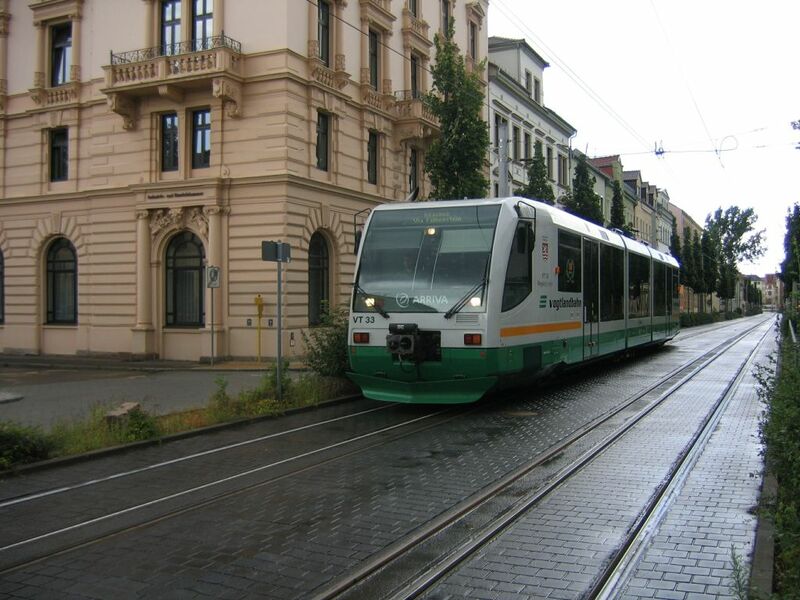 Karlsruhe, it must be remembered, pioneered the TramTrain concept and with stunning results. When the first TramTrain line (which replaced a commuter train & one transfer) opened in 1993, ridership exploded from 533,600 per week to over 2,555,000, (almost 480% increase) in just a few month! Karlsruhe now operates over 410 km. 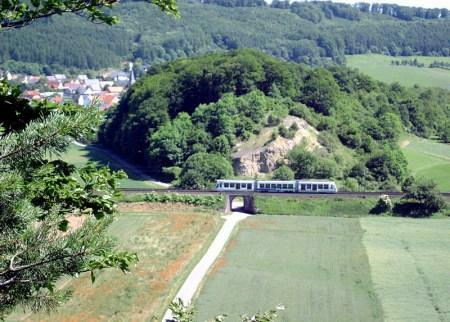 of TramTrain, including lines in the environmentally sensitive Black Forest, with the longest route being over 210 km. TransLink and METRO transit planners have singularly ignored Karlsruhe’s continuing success and busily chase their holy grail of densification and SkyTrain planning. The mandarins in charge of the regions transit planning haven’t even a clue what light rail is, or for that matter, what a metro is and try, like fitting a round peg in a square hole, cobble SkyTrain planning, making the metro fit a job far more suitable for modern light rail. The result is predictable, a disjointed and very extremely expensive ‘rail‘ transit system that is too expensive to extend, while at the same time has failed to provide a viable alternative to the car. Today there are 14 cities with TramTrain operation (only 7 cities have SkyTrain), with a further 20 TramTrain operations being planned for and no one is planning to build with SkyTrain at this date. This is the message that is being ignored by TransLink, METRO Vancouver and provincial politicians. Remaining blind, deaf and dumb about light rail and TramTrain translates in to ever increasing taxes to pay for questionable transit expansion. Who is not afraid to bell the SkyTrain cat? Fruit of the poisonous tree is a legal metaphor in the United States used to describe evidence that is obtained illegally. 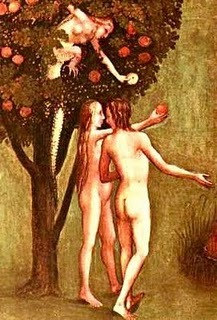 The logic of the terminology is that if the source of the evidence (the “tree”) is tainted, then anything gained from it (the “fruit”) is as well. TransLink’s planning officials still maintain that modern light Rail has a limited capacity of about 10,000 persons per hour per direction and refuse to entertain the fact that they are wrong. All of TransLink planning, including the RAV/Canada Line, the Evergreen line, the Broadway/UBC rapid transit line, and Fraser Valley transportation have assumed LRT’s seemingly inferior capacity and despite the fact that modern LRT can carry in excess of 20,000 pphpd, have portrayed LRT as a poorman’s SkyTrain. The assumption that light rail has only a capacity of 10,000 pphpd is wrong. The following study from the LRTA, shows that even in 1986, it was generally understood that modern LRT could carry 20,000 pphpd. More recently, (2006) Calgary Transit LRT Technical Data page claims that the maximum theoretical capacity of the C-Train is 30,700 pphpd! If TransLink’s basic assumption about light rail (including streetcar) is wrong, then TransLink’s entire planning history, regarding bus, LRT, and SkyTrain is wrong and is not worth the paper it is printed on. 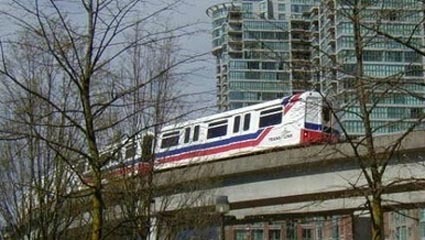 Yet TransLink, without any public scrutiny and very little political oversight, continues to plan for hugely expensive SkyTrain light-metro projects, which supposed support for, has been heavily biased by questionable studies and even more questionable tactics – all fruit from the poisonous tree! Has TransLink’s regional transit planning over the past ten years nothing more than “Fruit of the poisonous tree?”, based on the fact that TransLink’s bureaucrats desired that light rail (LRT) be seen inferior to SkyTrain, on paper, to ensure further planning and building of their cherished light metro system? Rail for the Valley would welcome TransLink’s clarification on this issue! We're a growing group of people across the Lower Mainland who agree that the Fraser Valley needs passenger rail service NOW! Contributors to this blog speak their own opinions, and are examples of the diversity involved in this campaign. Bryan Vogler on Ottawa’s troubled tram. Launching our new Rail For the Valley website and blog……. Rail for the Valley News in the EUROPEAN Press! The future of public transit in America – will Canada Follow? Canada Line Puzzle – What’s The problem?